Most conditions found in internal medicine require medicine as the main form of treatment. Currently the field has been divided according to the different body functions such as the nervous system, digestive system, kidney function, cardiovascular system, respiratory system, and endocrine system. 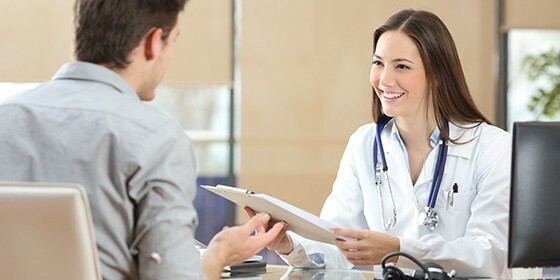 Our Internal Medicine Center provides treatment that connects the different systems holistically, similar to having a personal or family doctor. Care given includes both physical and mental and focuses not only on treatment but prevention of occurrence and/or reoccurrence. These are often done in cooperation with surgeons from different departments and involve a filtering process to ensure that patients will be fit for surgery. The evaluation will include reviewing medication, supplements, history of allergies, blood test, lung X-Ray, EEG, and more as required. Data obtained will then be analyzed keeping in mind the specific nature of the patient’s surgery. This will help to ensure best results from the surgery and prevent complications from lung, heart, infections, and the like. We offer full services by specialized IV Nurse Team prepared to provide professional care for patients and relatives. Checkup for hardening or narrow of blood vessels. Help patients better understand their health condition and provide appropriate medication and treatment. These checkups are included in packages such as the health checkup package and the high blood pressure package. Micro albumin checkup in urine. Results will be available within 2-20 minutes and will help diagnose diabetes and rule out other conditions. Blood pressure tests can now be done at home 24 hours a day using automated blood pressure monitor. The device is small and portable, making it suitable for everyday use. It can also be customized in accordance to a schedule of your doctor’s design. Every day : 7.00 A.M. - 8.00 P.M.